This article contains interesting facts, pictures and information about the life of the Abenaki Native American Indian Tribe of the Northeast woodland cultural group. Summary and Definition: The Abenaki were farmers hunter gatherers and fishers whose lands stretched from Lake Champlain, the St. Lawrence River basin and south into Maine and northern Massachusetts. 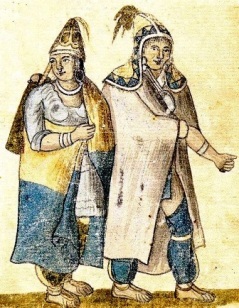 The Abenaki lived in wigwams, tepees or longhouses and their clothes were distinguished by the ethnically distinct, pointed or peaked hoods that the Abenaki people wore. This article contains fast, fun facts and interesting information about the Abenaki Native American Indian tribe. Find answers to questions like where did the Abenaki tribe live, what clothes did they wear and what food did they eat? Discover what happened to the Abenaki tribe with facts about their wars and history. The Abenaki are people of the Northeast Woodland Native American cultural group. The location of their tribal homelands are shown on the map. 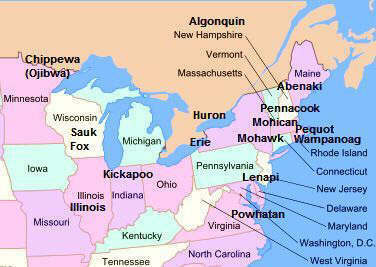 The geography of the region in which they lived dictated the lifestyle and culture of the Abenaki tribe. 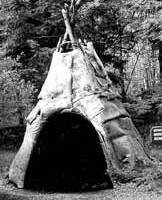 The Abenaki tribe lived in Wigwams aka Birchbark houses. 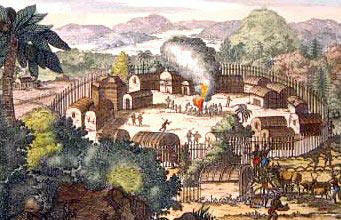 This type of shelter, conical or domed shaped, or were common to the Algonquian speaking people. Wigwam is the word for "house" in the Abenaki language. The Wigwam varied in size housing up to 27 people in a village. Wigwams were built with wooden frames that were covered with woven tule mats, sheets of birchbark and animal skins. Ropes were wrapped around the wigwam to hold the birch bark in place. Temporary tepees were used on hunting trips that housed just 3 people. The Abenaki Native Americans built canoes made from the bark of the birch trees over a wooden frame. These lightweight Birch Bark canoes were broad enough to float in shallow streams, strong enough to shoot dangerous rapids, and light enough for one man to easily carry a canoe on his back. 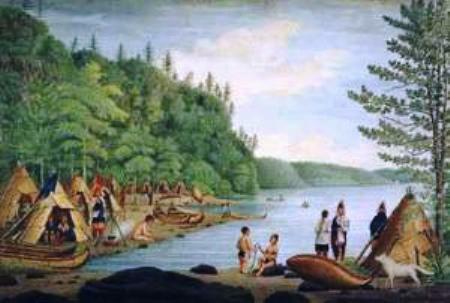 The Abenaki Tribe was one of the most famous tribes of Native American Indians. Discover the vast selection of pictures on the subject of the tribes of Famous Native Americans such as the Abenaki nation. The pictures show the clothing, war paint, weapons and decorations of various Native Indian tribes, such as the Abenaki tribe, that can be used as a really useful educational resource for kids and children of all ages. We hope you enjoy watching the video - just click and play - a great social studies homework resource for kids .